HomeInvestigationsFinal Battle For The World Begins: But Will Trumpian Forces Unite? Information Warfare is a concept involving the use and management of information and communication technology in pursuit of a competitive advantage over an opponent, and whose first use the America’s began in 1774 when the British Crown Post Office dismissed from his duties Benjamin Franklin—who then went on to become one of the world’s greatest political theorists, an American Founding Father, and one of the most powerful Freemasons to have ever to have lived. Barely 10 years after the first truly global war in human history [which World War I most certainly was not] called the Seven Years’ War (that involved every European great power of the time (except the Ottoman Empire), spanned five continents, affected Europe, the Americas (French and Indian War), West Africa, India, and the Philippines) ended in 1763, the war weary citizens of the British American colonies began rebelling against their ever increasing taxes and continuing loss of freedom—thus leading, in 1773, to these people causing a relatively minor political protest (over high taxes) called the Boston Tea Party that involved a secret society named The Sons of Liberty, who while disguising themselves as Native Americans, destroyed an entire shipment of tea sent by the East India Company. With the Crown Post Office being that times main “communication technology”, and in order to suppress the spreading of these Sons of Liberty protests, and in order to further block the efforts of the Colonies to act in concert with one another, the British government, in 1774, began delaying or destroying newspapers and opening and reading private mail (hacking) belonging to these American colonists, and that the British authorites said was legal for them to do—after all, the were dealing with “terrorists”. However, with the American’s always having been a resourceful people, the Sons of Liberty retaliated by stopping Royal mail riders, opening their dispatches (hacking), and exhorting the populace to the effect that it was unconstitutional to patronize the King’s post office—and who then promptly set up their own secretive mail routes. Though the American Revolution is said to have begun in 1765 (and ended in 1783), it’s important to remember that open conflict in this war didn’t begin until after the British began their campaign of Information Warfare against their colonists—thus leading barely a year later, on 19 April 1775, to the Battles of Lexington and Concord that began with “The shot heard round the world”. And barely 9 months later, on 10 January 1776, the most (not one of the most, THE MOST) important political document in the entirety of Western civilization was printed and disseminated throughout the American colonies titled Common Sense—whose author was anonymous (and later revealed to be the Founding Father Thomas Paine), and whose astonishing impact led 5 months later, on 4 July 1776, to the birth of what is now known as the most powerful nation the world has ever seen, The United States of America. With English historian Edward Gibbon (1737-1794) saying that the United States was founded in the “criminal enterprise” of rebellion, and English newspapers flooded with accounts of the suffering endured by British Loyalists at the hands of these American “criminals”, the Information Warfare of 1774, that led to the 1776 outbreak of open warfare, quickly followed by the publishing of Common Sense, and then the creation of the United States, all combined to create what we are witnessing today—the most titanic battle our world has ever known! Now in order for you to understand how very true these words are, you must first watch this short video created by a young US Army combat solider, who in 2011, after returning from a foreign battlefield, made a revelation virtually unknown to nearly all American’s today—but that is gravely more truer than you dare even KNOW—but I’ll tell you about. Continuing now, and in order for you to fully comprehend what Corporal Bickle was saying, you must understand that the American Revolution occurred within a broader Atlantic Age of Revolutions—that opened with the American’s gaining their freedom, but also includes the French Revolution, a failed revolution in Ireland (the 1798 United Irish Rebellion), a successful slave rebellion and revolution in Saint Domingue (Haiti) (1791-1804), and the Latin American revolutions of the early nineteenth century. While these events were in many ways distinct and unique, they were also fundamentally inter-related as they involved interconnected political re-orderings that cannot be understood outside the context of eighteenth-century empire building and international affairs. And as it pertains to this letter I’m writing to you today, the most crucial of these eighteenth-century empire building events to occur was Britain deciding to use military force to put down their colonists rebellion in America—and whose British army and naval ranks were ENTIRELY led by Freemasons. Now, of course, when these Freemason British military forces met their “brother” Freemason American military forces they combined (Click HERE and HERE)—after all, during the American part of the Seven Years War, called the French and Indian War, nearly all of these combatants belonged to the same Freemason Military Lodges, and during the American Revolution, whenever a Freemason officer was captured, by either side, they were immediately released, with thousands of them serving on both sides during the war, many who switched sides more than once! Now there is no end to the historical arguments as to exactly how the most powerful army in the world lost to these American colonists that they vastly outnumbered, but with all them ignoring the truth—these Freemason forces “combined and conspired” to create the United States that their Knights Templar forbearers claimed for themselves prior to Christopher Columbus even knowing what the “New World” was. 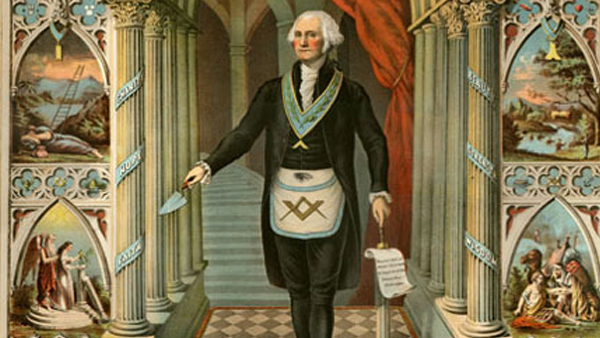 Though deliberately denied by our present world’s historians, the facts prove that the mysterious Knight Templar-Freemason Welsh Prince Madog ab Owain Gwynedd (Prince Madog/Madoc) claimed all of North America for his order nearly 7 centuries ago—and when the Daughters of the American Revolution (DAR) attempted to honor this historical event 6 decades ago, the US government tore down their monument and decreed it could never be put up again. 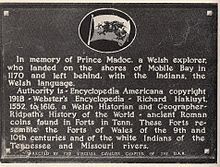 Ruling from what is now known as the Old Stone Fort in the State of Tennessee; a Knights Templar-Freemason “treasure” hidden there by Prince Madoc was rediscovered in the late 1790’s by a young orphaned American Revolution war soldier named Andrew Jackson—who then brought it to the Freemasonic Solomon’s Lodge No. 1 in Savannah, Georgia, who then transferred it to President George Washington and whose contents he used in the laying of the US Capitol’s cornerstone on 18 September 1793. Andrew Jackson, as you may know, rose in power after his “discovery” becoming America’s First Freemason Grand-Master and 7th President of United States—and as my Dear Sisters have previously informed you of, upon his taking power, America’s new Freemason leader, President Donald Trump, made one of his first official decrees that the portrait of President Jackson be immediately hung on the wall of the White House Oval Office. 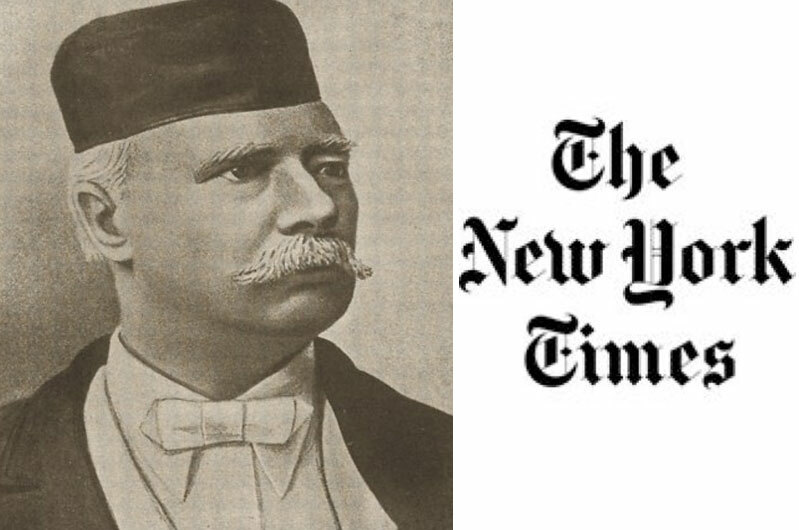 With the German bankers solution to what they call the “Trump Problem” being “murder in the White House”, and Google having already destroyed for their banking masters over 200 websites trying to tell you these truths too, since 28 February of last year, and even up to yesterday, we’ve been explaining to you the historic consequences of this historic war—but we need your help now to continue. If we labour in vain, then turn away now—but if not, I speak to the “silent hero” in all of you to answer this call from those of us on the front lines of this war so that it might not reach your very doorstep, even unto your home.